You are invited to participate in the Australasian Association of Bioethics and Health Law (AABHL) conference at Rydges Townsville from the 23rd to the 25th September 2018 as a sponsor. The meeting is the premier event for Bioethics and Health Law in Australia and the Asia Pacific region. The Australasian Association of Bioethics and Health Law (AABHL) encourages open discussion and debate on a range of bioethical issues, providing a place where people can ask difficult questions about ideas and practices associated with health and illness, biomedical research and human values. The association seeks to foster a distinctive Australasian voice in bioethics, and provide opportunities for international engagement through its membership, journal and conferences. Members come from all the contributing humanities, social science and science disciplines that make up contemporary bioethics. Many members have cross-disciplinary interests and all seek to broaden the dialogues in which all members of the wider community ultimately have an interest. The AABHL is a supportive, creative and challenging community that provides a rich source of continuing academic refreshment and renewal. A variety of sponsorship packages are being offered. We also invite any new proposals you may wish to put forward; the Committee is happy to negotiate a package that will be of maximum benefit to your organisation and the meeting. 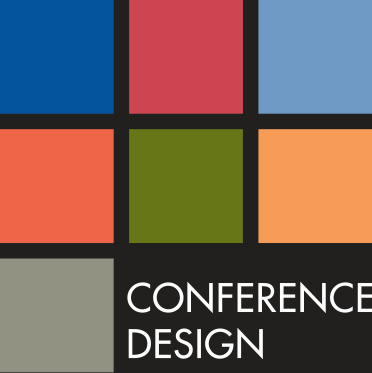 Please contact Anna Patterson at Conference Design Pty Ltd to discuss sponsorship opportunities. 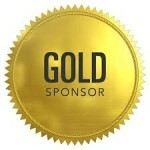 All potential sponsors must have the approval of the AABHL Executive Committee prior to any inclusion of a sponsor’s name in any of the publicity. Becoming a Conference Partner gives your organisation the opportunity to develop an on-going relationship with the meeting delegates and AABHL members. The package is designed to give organisations a strong presence at the meeting and continue the relationship between meetings. Logo and acknowledgement as a Conference Partner on all meeting materials including print, PDFs and broadcast emails. Four banners displayed during the meeting: two in the plenary hall and two in the catering area (supplied by sponsor). One trade table in a preferred position (subject to the date of booking). Logo, profile & hyperlink on the meeting website. Logo & hyperlink displayed on the Association website. Acknowledgement as a Conference Partner in the Association newsletter (subject to the date of booking). One trade table display for the duration of the meeting. Two pull-up banners in the catering area for the duration of the meeting. Keynote Speaker Sponsor (multiple available). Silver sponsorship enables your organisation to show its support for AABHL. One pull-up banner in the catering area for the duration of the meeting. The Dinner is always the highlight of the meeting. Sponsoring the dinner is a fantastic opportunity to promote your organisation in a fun and relaxed environment. The dinner sponsorship also includes a chance to address delegates. Logo and acknowledgement as Dinner Sponsor on all meeting materials including print, PDFs and broadcast emails. Two additional complimentary tickets to the Dinner. Logo and acknowledgement as supporting the attendance of the speaker on all meeting materials including print, PDFs and broadcast emails. Logo printed with the speaker in the meeting handbook. Logo & hyperlink displayed with the speaker in the meeting handbook. This is a great opportunity to reinforce your branding to all delegates. Each delegate will receive a copy of the meeting Handbook when they register at the conference. Logo and acknowledgement as Handbook Sponsor on all meeting material including print, PDFs and broadcast emails. Logo on the front cover of the handbook*. Advertisement on the back cover of the handbook (A5). Logo in the meeting Handbook. Each participant will receive a high quality satchel (or compendium) printed with your logo. Your logo is guaranteed to be seen every day during the meeting. The satchel will be selected to ensure delegates keep using it after the meeting. As a Workshop / Session Sponsor your organisation will be exposed to a large captive audience who will associate your organisation with support of a particular topic or session discussion. This opportunity is subject to the approval of the committee. Logo and acknowledgement as sponsor of the workshop or session on all meeting materials including print, PDFs and broadcast emails. Logo & hyperlink displayed on the meeting website. Logo displayed with the workshop/session on the on-line program. Verbal acknowledgement as workshop/session sponsor at the commencement. Logo printed with the workshop/session in the meeting handbook program. The day catering sponsor will be acknowledged in the Handbook program, on-line program and with signs on the buffet tables. This package is for the duration of one day of the conference, including morning tea, lunch and afternoon tea of that day. Logo printed in the meeting Handbook next to the day’s catering. Supply approximately 200 branded pads and/or pens. The trade displays will run for the duration of the meeting with morning tea, afternoon tea and lunch served in the catering and trade display area. Logo, 50-word profile & hyperlink on the meeting website. One registration (including the welcome but not the dinner)*. Additional exhibitors registrations and tickets to social functions may be purchased. The Organisers reserve the right to amend, update or delete sponsorship packages. Due to privacy requirements the delegate list will be supplied on at the time of the conference and will include name, organisation and state.